Disclaimer :This is a sponsored post.The recipe Gluten free Coconut filled Mango crepes and all opinions are my own. Hi friends,You should have known by now that today is my blog anniversary.On this special day I got an opportunity to review Namaste foods and host a giveaway.I already in love with their gluten free products.They have a variety of range of products those are not only gluten free but also free from top 8 allergens.These days most of the people are going into gluten free diet and most are afraid of allergens in the food they have. Namaste foods are found by Daphne Taylor,Owner (aka,Chief Cook and Bottle washer) in a urge to help her friend.It now grown widely to distribute in all 50 states and beyond.Staffs are almost entirely moms working from home. Check about their variety of range of products here.Their Social media links are Facebook, Twitter, Pinterst, Instagram. I received three assorted products from Namaste foods,I was so happy to see that it was carefully packed with few recipe cards.Each box have detailed nutrition value.They also give details how to prepare it and its measurements.But you can still try your own version as I did here.You can enjoy whatever you make with Namaste foods without any thought of gluten or any top 8 allergens.I loved other two products too.Tried in using some recipes. I here made Gluten free Coconut filled Mango crepes using Namaste Waffle and Pancake mixture.When I was thinking about what to make for blog annniversary,these crepes came to mind.At right time Namaste foods send their products for review.So what better could have been happen for my blog anniversary?I made these yummy Gluten free coconut filled Mango crepes.This is my mom’s recipe.She used to make this with out mango.But I want to try with mango puree included which was a treat to your taste buds.The tropical flavor bursts in your mouth along with coconut.Both Mango and Coconut being my favorite ingredient,this doesn’t disappoint me in any way.And being made with Namaste food product its a bonus that it is gluten free too. Now about Give away . Namaste foods are giving away an AWESOME GROCERY TOTE WITH THEIR AMAZING 4 ASSORTED FOOD PRODUCTS,COPY OF GLUTEN FREE AND MORE MAGAZINE ,ASSORTED RECIPE CARDS. JUST FOR ONE LUCKY PERSON. ISN’T IT AWESOME? What to do to be a lucky winner? What you have to do to be that lucky one?No rocket science,just comment below why do you like my site and your favorite Namaste product.This giveaway will be active through one week and at end of one week( July 19 midnight) will pick one lucky winner.So don’t miss this amazing chance. Follow me on Twitter, Facebook, Pinterest, Instagram. Please talk about this give away in your social media. Due to some restrictions, this giveaway is offered only to the participants of US and Canada.But I appreciate comments from all my readers(it is not restricted). Mix grated coconut and sugar in a bowl.Keep aside. Beat egg and sugar in a bowl till sugar dissolves. Add mango puree and salt.Mix well. Add Namaste Gluten free Waffle and Pancake mixture slowly and mix till incorporated. Add water and mix to get desired consistency of the batter to make crepes.The batter should be little runny. Heat a wide pan.When it is hot enough,spread butter or spray cooking spray. Pour a ladle of batter and swirl the pan to spread the batter evenly. Cover and cook.When one side is done flip over other side and cook till done. Remove it in a plate. Add required coconut,sugar filling inside the crepe and roll it. You can avoid mango puree and make this crepe plain if you want. Adjust sugar as per your needs. I totally loved the products and loved the way how easy to use it.The taste too didn’t disappoint me.It tasted great in fact.Will definitely get the product again.You try for yourself and let me know your opinion on the product. Update – Giveaway is closed. We have a winner 😊👏. Omg, love the use of fruit puree in crepe filling…. Super inviting dear… And yes the gluten free idea is also an lovely idea !!! mango crepe looks great, I am sure they would taste awesome with mangi flavor. Love mango in anything! These pancakes looks so sumptuous and luscious! Excellent and beautifully presented! I love Mango in anything and everything. This gluten-free coconut filled mango crepes looks so delicious. Wow !! Coconut and mango; truly a match made in heaven. I am sure the crepe’s must have tasted divine. Loving the fact that you have used gluten free flour to make them. Indeed a recipe worth trying, thanks for sharing!! 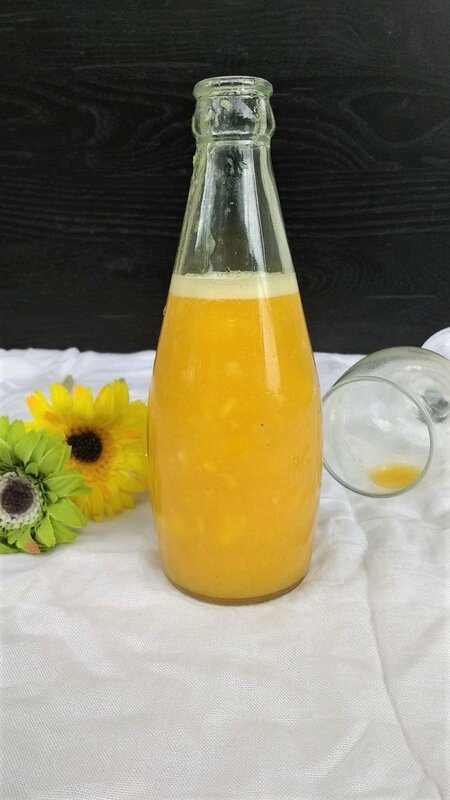 Coconut and mango are really a match made in heaven! A very creative and yummy idea to use them together in these healthy and delicious crepes. Omg, those crepes are inviting me, love that those crepes are gluten free and filled with coconut.. Amazing exotic crepes there. Mouthwateringly delicious. I love the crepes. Sounds like you can use any puree. Now that is an idea. Congratulations for your blog anniversary. Many more to come. Mango and coconut are great combo. I can imagine the heavenly taste. Awesome share. I have no access to the Namaste brand, do you know what flour do they use in their mix? What a nice idea to use mangoes in crepes. Shall be trying this for sure. Beautiful creps, lovely recipe. Mango and coconut go so well together. Those gluten free mango crepes looks so tasty and very inviting too. What a great way to use gluten free waffle mix. I am sure the flavors f coconut and mango would have made these crepes more delicious.Congrats on your blog anniversary. Thats a lovely filling and the crepes look beautiful. I may not be able to source gluten free mixture for pancakes but sure love the combination of mangoes and coconut. An excellent breakfast or dessert treat. Happy blogiversary. Congratulations on your blog anniversary!! Crepes with coconut filling looks droolicious!! Congrats on your blog anniversary. The crepes look delicious. Super lovely recipe. mangoes and crepes two beautiful things for the morning. A different recipe . congratulations. Perfect for the celebration Lathiya. Gluten free is a great way to enjoy food! We eat so much gluten these days that the stomach suffers. Namaste brand sounds promising. Love the Desi touch in crepes of mango and coconut. Yummy crepes.. Sure kids will love this.. Loved the use of gluten free flour to make lovely pancakes with a combo of coconut and mangoes. I bet that it tasted awesome. A really special dessert for your blog anniversary last year. Great Share! Excellent crepe recipe, Lathi 👏 I’ll have to give it a try! Thank you 😊..glad you liked it..you always can try with flavors as you like it.. The crepes alone sound so perfect to me!! I know I would love these! My mouth is watering now! Thanks for joining this week’s Fiesta Friday party! Happy Blogiversary! Wishing you continued success! I like your blog for its yummy recipes with easy step by step photos and directions. I love both mango and coconut, so I am drooling looking at these crepes. So many products from Namaste foods looks very interesting. I particularly would like to try their pancake and waffle mix and their spicy coating mix. What a great way to use gluten free waffle mix. Mango and coconut are meant to be eaten together. Thanks for bringing your crepes to Fiesta Friday. I’ve never tried adding a fruit puree to a crepe before. Sound delicious I would love to give this a go. Happy Blogiversary and thank you for linking to #CookBlogShare. Honestly when I saw the title I thought you filled the crepes with mango and coconut, but then I was really surprised when I read you used it for the crepes dough – this recipe I got to try! oooh – I love coconut! What stunning crepes. Crepe sounds very delicious and congratulations on your blog anniversary!! Congrats on your blog anniversary! 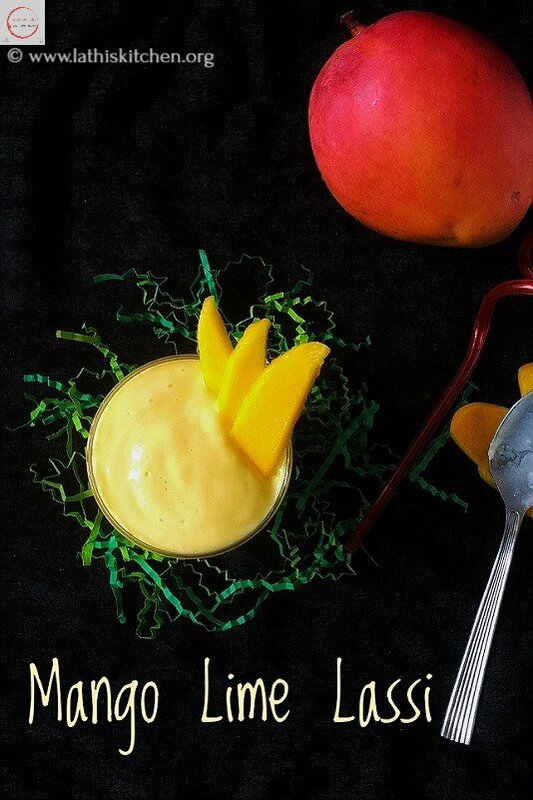 Those crepes looks so lipsmacking… who wouldn’t like a combination of mango and coconut? I love your site because it always has unique and natural recipes. I love the Namaste Chocolate Cake Mix and would love to try the other products too! Thank you! Thank you so much..🙂I agree that their Chocolate cake mix is awesome.